Though the present writ petitions were preferred in the years 2012 and 2013 and the debate had centered around on many an aspect relating to action taken by the Drugs Controller General of India and the Indian Council of Medical Research (ICMR) pertaining to approval of a vaccine, namely, Human Papilloma Virus (HPV) manufactured by the respondent No. 7, M/s. GlaxoSmithKline Asia Pvt. Ltd. and the respondent No.8, MSD Pharmaceuticals Private Limited, respectively for preventing cervical cancer in women and the experimentation of the vaccine was done as an immunization by the Governments of Gujarat and Andhra Pradesh (before bifurcation, the State of Andhra Pradesh, eventually the State of Andhra Pradesh and the State of Telangana) with the charity provided by the respondent No.6, namely, PATH International. The issue also arose with regard to the untimely death of certain persons and grant of compensation. Certain orders were passed by this Court from time to time. 2. A stage came in the life span of this litigation, which is still in continuation, when the Court vide order dated 12th August, 2014, had posed the following questions:- “i) Whether before the drug was accepted to be used as a vaccine in India, the Drugs Controller General of India and the ICMR had followed the procedure for said introduction? ii) What is the action taken after the Parliamentary Committee had submitted the 72nd report on 30.08.2013? iii) What are the reasons for choosing certain places in Gujarat and Andhra Pradesh? iv) What has actually caused the deaths and other ailments who had been administered the said vaccine? v) Assuming this vaccine has been administered, regard being had to the nature of the vaccine, being not an ordinary one, what steps have been taken for monitoring the same by the competent authorities of the Union of India, who are concerned with health of the nation as well as the State Governments who have an equal role in this regard? vi) The girls who were administered the vaccine, whether proper consent has been taken from their parents/guardians, as we have been apprised at the Bar that the young girls had not reached the age of majority? (1) The report of the Standing Committee shall be based on broad consensus. (2) Any member of the Committee may record a minute of dissent on the report of the Committee. 15. Relying on the said Rule, it is argued by the learned counsel for the petitioners that the report of the Standing Committee has a persuasive value and hence, it can be taken note of for the purpose of fact finding by this Court. The learned counsel for the Union of India, on the contrary, would contend that as per the scheme of the Rules, it is meant to have persuasive value and considered as an advice given by the Standing Committee to the Parliament. 16. It is submitted on behalf of the Union of India that the Rules 277 “ 279 deal with submission of the Report of the Committee and provide that if no time frame is given, the same would be submitted within a month from the appointment of the Committee and the reports shall be presented to the House by the Chairperson. It is further urged that the reports submitted by the different Committees are examined/debated by the House and only thereafter they are adopted. Our attention has been drawn to Rule 277 and Rule 278 made for Lok Sabha which provide for Scope of Advice regarding reports submitted by Select/Joint Committees. In essence, the purpose of reliance is, it is a matter of concern to the debates in the Parliament. 17. At this juncture, we may look at the origin and working of the Parliamentary Committee. The Committee system in India, as has been stated in “The Committee System in India : Effectiveness in Enforcing Executive Accountability”, Hanoi Session, March 2015, is as follows:- “The origin of the Committee system in India can be traced back to the Constitutional Reforms of 1919. The Standing Orders of the Central Legislative Assembly provided for a Committee on Petitions relating to Bills, Select Committee on Amendments of Standing Orders, and Select Committee on Bills. There was also a provision for a Public Accounts Committee and a Joint Committee on a Bill. Apart from Committees of the Legislative Assembly, members of both Houses of the Central Legislature also served on the Standing Advisory Committees attached to various Departments of the Government of India. All these committees were purely advisory in character and functioned under the control of the Government with the Minister-incharge of the Department acting as the Chairman of the Committee. After the Constitution came into force, the position of the Central Legislative Assembly changed altogether and the committee system underwent transformation. Not only did the number of committees increase, but their functions and powers were also enlarged. 19. We have referred to the same as a holistic reading of the said document conveys that the Parliamentary Standing Committee makes the executive accountable to it on certain issues. As is indicated hereinbefore, Mr. Grover and Mr. Gonsalves, learned senior appearing for the writ petitioners, would contend that the executive being accountable to the Parliamentary Standing Committee, the report of the Committee which is in the public domain and hence, that can be relied upon by them to buttress a fact situation and in any way, establish it. Learned counsel for the Union of India and the contesting respondents, per contra, would urge that the Parliamentary Standing Committee report cannot be tendered as a piece of evidence to prove a fact and once it is referred to, it invites a contest and criticism. 20. We may fruitfully state that the procedure of the Committee is neither inquisitorial nor adjudicative. It has its own character. The procedure is sui generis. In the Westminister system, Parliament also deals with the matter of accountability of the executive and standing Committees of Parliament, on many an occasion, examine the propriety and wisdom of the conduct of the executive. The reports of the Committees are for the assistance of Parliament. The procedure for drawing up such reports, is entirely a matter for the Committee and it has authority to receive evidence from witnesses “ but it is for their own assistance. No person has a right to be heard by the Committee even if the Committee is examining a matter which may result in an adverse comment on the conduct of such person. The principles of natural justice are not applicable. 26. Reliance has been placed on the aforesaid conclusion to lay thrust on the point that there cannot be a combat or dispute over the report of the Parliamentary Standing Committee in a court of law and, therefore, the respondents are debarred from contesting the same and that is the singular ground not to place reliance upon the same. 27. In Sarojini Ramaswami vs. Union of India and others, the Court observed that a finding of guilt recorded by the Parliamentary Standing Committee on the charges is not conclusive and final and the Parliament can still hold that charges levelled against the person concerned do not amount to misbehavior and may decide not to adopt the motion. Though the decision was rendered in a different context, it has been taken aid of to bolster the proposition that the report of the Parliamentary Standing Committee does not attain finality, inasmuch as it is subject to debate in the Parliament and subject to further action taken by the Parliament. 28. Inspiration has also been drawn from the authority in Arun Kumar Agrawal vs. Union of India and others, wherein it has been stated in the context of the report of the Comptroller and Auditor General of India (CAG) that the report of the CAG is always subject to Parliamentary debates and it is possible that the Parliamentary Accounts Committee can accept the Ministry’s objection to the CAG report or reject the report of the CAG. What has been stated is that CAG though indisputably is an independent constitutional functionary, yet it is for the Parliament to decide whether after receiving the report, i.e. the Parliamentary Accounts Committee to make its comments on the CAG’s report. The emphasis is on the areas of demarcation of power of the Parliament and its supremacy within its sphere. 29. On behalf of the Union of India, two decisions, namely, R v. Murphy and Office of Government Commerce v. Information Commissioner have been referred to highlight that there has been exclusion of discussion of the Parliamentary report. 30. At this juncture, we may note with profit, how this Court has taken aid of the debates of the Constituent Assembly, Parliamentary notes, speeches given in the Parliament and the report of the Parliamentary Standing Committee. In Indra Sawhney v. Union of India, Jeevan Reddy, J., speaking for the majority, held that debates in Constituent Assembly can be relied upon as an aid to interpretation of a constitutional provision and for the said purpose the learned Judge relied upon the decisions in Madhu Limaye, In re, Union of India v. Harbhajan Sinhg Dhillon and several opinions in Kesavananda Bharati Sripadagalvaru v. State of Kerala and another. 40. We have referred to the said authority as this Court has thought it appropriate to state following the precedents that the report of a statutory committee cannot be received as evidence of facts stated in the report. 41. Having dwelled upon this aspect, we may refer to certain relevant Articles of the Constitution. Article 105 deals with with powers, privileges, etc. of the Houses of Parliament and of the members and committees thereof. To have a complete picture, the said Article is reproduced in entirety:- “105. Powers, privileges, etc., of the Houses of Parliament and of the members and committees thereof.” (1) Subject to the provisions of this Constitution and to the rules and standing orders regulating the procedure of Parliament, there shall be freedom of speech in Parliament. (2) No member of Parliament shall be liable to any proceedings in any court in respect of anything said or any vote given by him in Parliament or any committee thereof, and no person shall be so liable in respect of the publication by or under the authority of either House of Parliament of any report, paper, votes or proceedings. (3) In other respects, the powers, privileges and immunities of each House of Parliament, and of the members and the committees of each House, shall be such as may from time to time be defined by Parliament by law, and, until so defined, 1[shall be those of that House and of its members and committees immediately before the coming into force of section 15 of the Constitution (Forty-fourth Amendment) Act, 1978. 42. What is necessary to understand from Article 105(2) is that no member of the Parliament can be made liable for any proceeding in any court because of what he has stated in a committee. The Parliamentary Standing Committee is a committee constituted under the Rules and what a member speaks over there is absolutely within the domain of that committee. Freedom of speech of a member of a Committee is only guided subject to provisions of the Constitution and the Rules and standing orders regulating the procedure of Parliament. It is also seemly to note that Article 105(4) categorically lays the postulate that clauses 1, 2 and 3 shall apply to any committee of the Parliament. 43. Article 118 deals with rules of procedure. Clause 1 of the said Article stipulates that each House of Parliament may make rules for regulating, subject to the provisions of the Constitution, its procedure and the conduct of its business. Thus, the said Article empowers the Parliament to regulate its procedure apart from what has been stated directly in the Constitution. 45. The aforesaid Article makes it vivid that the Parliament shall not discuss as regards the conduct of any Judge of the Supreme Court or of a High Court in the discharge of his duties, except upon a motion been presented before the President of India praying for removal of the Judge as provided in the Constitution. Thus, the discussion of the Parliament is restricted by a constitutional provision. 46. Article 122 stipulates a restraint on courts to inquire into proceedings of the Parliament. The said Article being absolutely significant is reproduced below:- “122. Courts not to inquire into proceedings of Parliament.” (1) The validity of any proceedings in Parliament shall not be called in question on the ground of any alleged irregularity of procedure. 47. The purpose of referring to the aforesaid Articles is that while exercising the power of judicial review or to place reliance on the report of the Parliamentary Standing Committee, the doctrine of restraint has to be applied by this Court as required under the Constitution. What is argued by the learned counsel for the petitioners is that there is no question of any kind of judicial review from this Court or attributing anything on the conduct of any of the members of the Committee, but to look at the report for understanding the controversy before us. The submission “looking at the report,” as we perceive, is nothing but placing reliance thereupon. The view of a member of the Parliament or a member of the Parliamentary Standing Committee who enjoys freedom of speech and expression within the constitutional parameters and the rules or regulations framed by the Parliament inside the Parliament or the Committee is not to be adverted to by the court in a lis. 48. In this regard, it is appropriate to refer to the observations made by the House of Lords in Hamilton v. Al Fayed:- “The Court of Appeal held, first, that apart from any question of parliamentary privilege the principle in Hunter’s case  AC 529 had no application: a parliamentary decision was not analogous to a decision of the court. 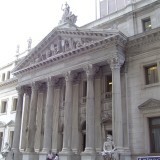 Next, the Court of Appeal held that the proceedings before the PCS, his report and its acceptance by the CSP were all “parliamentary proceedings” and therefore any attempt to investigate or challenge any of the procedures adopted constituted a breach of parliamentary privilege: they constituted a “questioning” of parliamentary procedures. They therefore held that the judge had been in error and had himself breached parliamentary procedure by criticizing the procedures adopted by the PCS. The conclusion of the Court of Appeal on these two points met the concerns of the Solicitor General. The Court of Appeal were clearly correct on these points and they were not further challenged on appeal to your Lordship’s House. 49. We will be failing in our duty if we do not note another submission of the learned Solicitor General that for issuance of a writ of mandamus, it is primary to establish that one has a right and, in the case at hand, an effort has been made to rely on the Parliamentary Standing Committee’s report to create a right which is legally not permissible. 50. The controversy has to be seen from the perspective of judicial review. The basic principle of judicial review is to ascertain the propriety of the decision making process on the parameters of reasonableness and propriety of the executive decisions. We are not discussing about the parameters pertaining to the challenge of amendments to the Constitution or the constitutionality of a statute. When a writ of mandamus is sought on the foundation of a factual score, the Court is required to address the facts asserted and the averments made and what has been stated in oppugnation. Once the Court is asked to look at the report, the same can be challenged by the otherside, for it cannot be accepted without affording an opportunity of being heard to the respondents. The invitation to contest a Parliamentary Standing Committee report is likely to disturb the delicate balance that the Constitution provides between the constitutional institutions. If the Court allows contest and adjudicates on the report, it may run counter to the spirit of privilege of Parliament which the Constitution protects. 51. As advised at present, we are prima facie of the view that the Parliamentary Standing Committee report may not be tendered as a document to augment the stance on the factual score that a particular activity is unacceptable or erroneous. However, regard being had to the substantial question of law relating to interpretation of the Constitution involved, we think it appropriate that the issue be referred to the Constitution Bench under Article 145(3) of the Constitution. 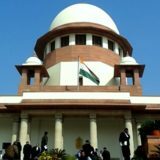 We frame the following questions for the purpose of reference to the Constitution Bench:- (i) Whether in a litigation filed before this Court either under Article 32 or Article 136 of the Constitution of India, the Court can refer to and place reliance upon the report of the Parliamentary Standing Committee? (ii) Whether such a Report can be looked at for the purpose of reference and, if so, can there be restrictions for the purpose of reference regard being had to the concept of parliamentary privilege and the delicate balance between the constitutional institutions that Articles 105, 121 and 122 of the Constitution conceive? 52. Let the papers be placed before Hon’ble the Chief Justice of India for constitution of appropriate Bench.